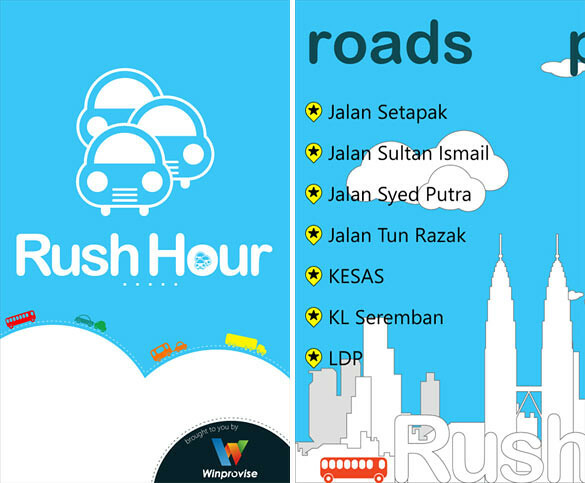 If you are from Malaysia and staying around the Klang Valley, try this app called “Rush Hour”. Here is your eye-above across major roads and highways in the Klang Valley. View live cameras to get the picture of traffic along your travel routes. Plan ahead, or change your route with the latest traffic information. 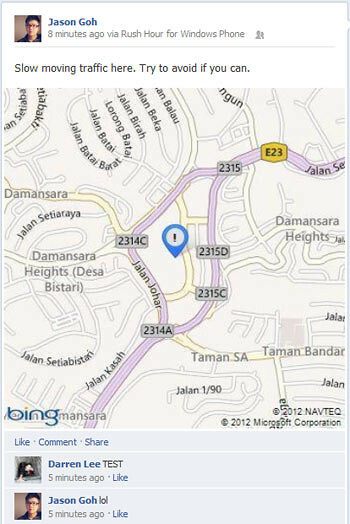 The live map feature gives you current information reported by other users such as accidents, police blocks, floods, and so on. Facebook integration allows you to share camera views, and reported incidents with friends. 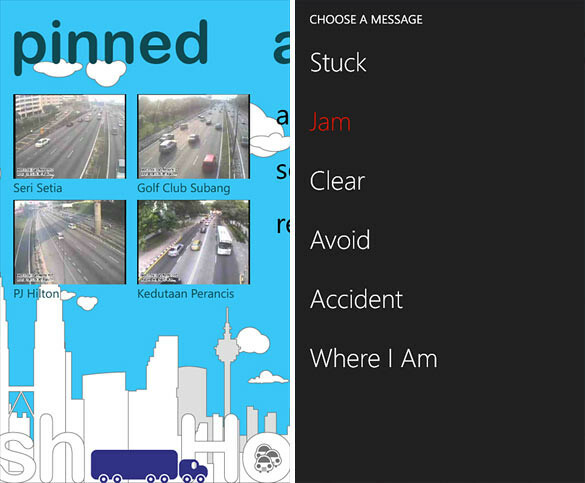 2 Responses to "‘Rush Hour’ For Windows Phone Lets You View & Share Live Traffic In Klang Valley"
Thank you for downloading Rush Hour. We wish to listen more for the feedbacks using the feedback email button.